Whether you're looking to mount your brake pedal bracket on the frame or on the firewall, and if you're looking for manual or power applications, we've got what you need. Firewall units come in specific fit and universal applications. They have a raw finish and come with the pedal arm (except for #5564BB-0, 4756MCA and 5559MCA). Pedal pads sold separately. 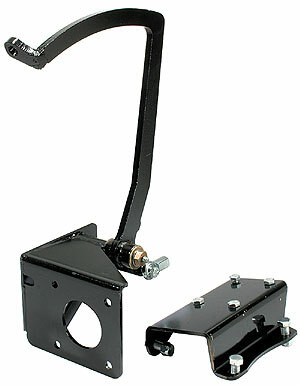 Frame mount units come black powder coated (except for the #5557FMB). Units #260 and #263 are designed to use mini master cylinder part number #430. Units #259 & #263 use CMC hydraulic clutch cylinder.